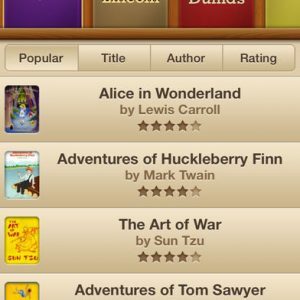 Category: Paid Business Apps Tags: Business, Penpower Technology Ltd.
? Awards and Laurels ? 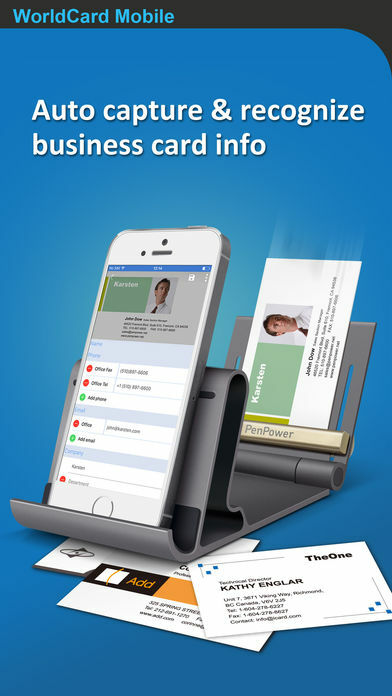 WorldCard Mobile, the leading business card scanning application for iPhone, uses OCR (Optical Character Recognition) technology to instantly transfer information from business cards to users’ native contacts. 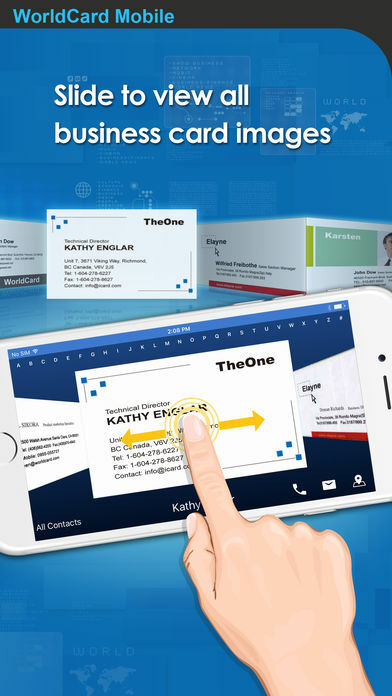 With a simple click of the camera, you no longer have to manually input contact info from business cards or email signatures.
? Why WorldCard Mobile? ? – Capture business cards anytime & anywhere. – Capture business card images with the iPhone’s camera. – Recognition of 25 languages: English, French, German, Italian, Spanish, Portuguese, Dutch, Czech, Greek, Hungarian, Polish, Portuguese (Brazil), Russian, Slovak, Spanish (Mexico), Turkish, Finland, Sweden, Denmark, Norway and Arabic, Traditional Chinese, Simplified Chinese,Japanese, Korean. – Sort recognized information by name, position, company, phone number, fax number, address or other fields.
? 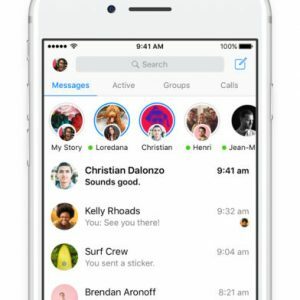 Manage contacts easily ? 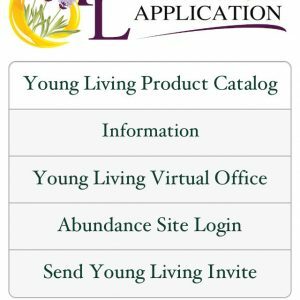 – View and manage contact info with Card holder function. Make a phone call, send SMS and email to your contacts directly. – Select partially and recognize the specific area that contains the correct data. 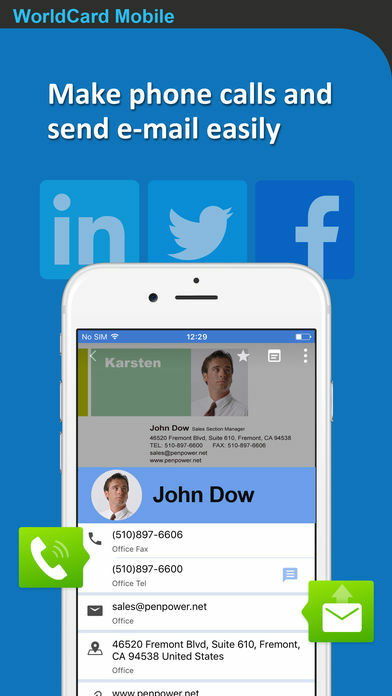 – Find your contacts on Facebook, LinkedIn and Twitter. Expand your social and professional networks. 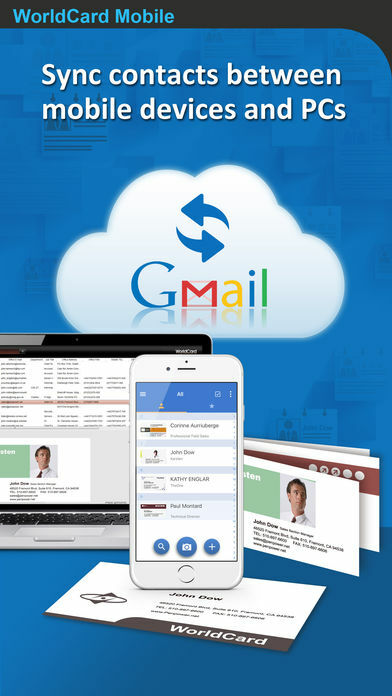 – Sync with Google Contacts and manage your contacts seamlessly. – Exchange contact data through Open In, Mail and iTunes File Sharing. Import/export or backup your data on Mac/Windows quickly and conveniently. – Share or backup your contacts via cloud services (iCloud / Dropbox). Manage your contacts on all devices, such as Mac or Windows PC. – Recognize QR code to get more information easily. – Copy email signatures and add them to your contact lists.